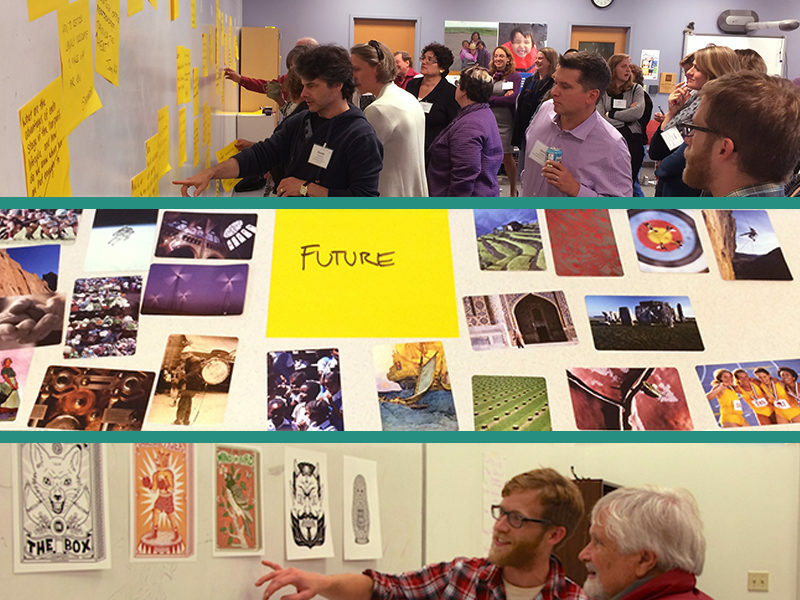 New Pathways for the Arts | Alaska is an initiative developed by EmcArts, Rasmuson Foundation, the Foraker Group, and Alaska State Council on the Arts to stimulate innovation and adaptive leadership capacity in Alaska’s arts and cultural organizations. The program integrates a wide range of learning activities and financial investments. Its components focus on celebrating and advancing organizational innovations as responses to complex challenges during times of rapid change. It gives organizations from Alaska’s diverse cultural landscape the opportunity to learn about building adaptive capacity through group workshops, forums, coaching, and individual organizational facilitation. 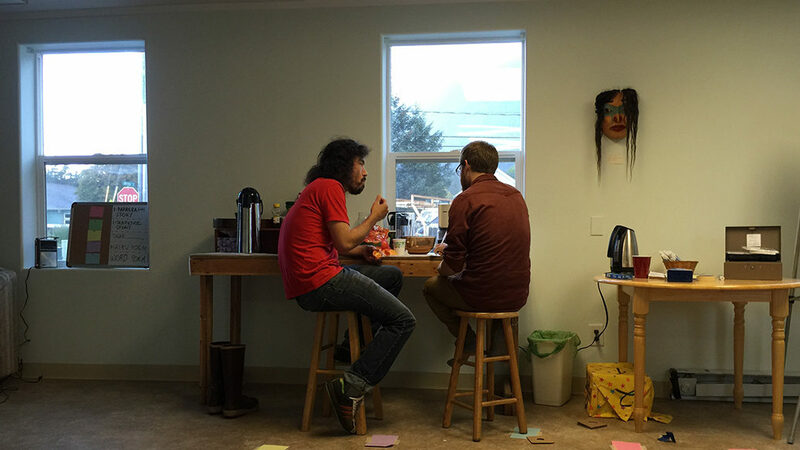 EmcArts is particularly excited to work alongside the Foraker Group in delivering this program, which also creates the opportunity to share some of the facilitation tools and frameworks used by both organizations. 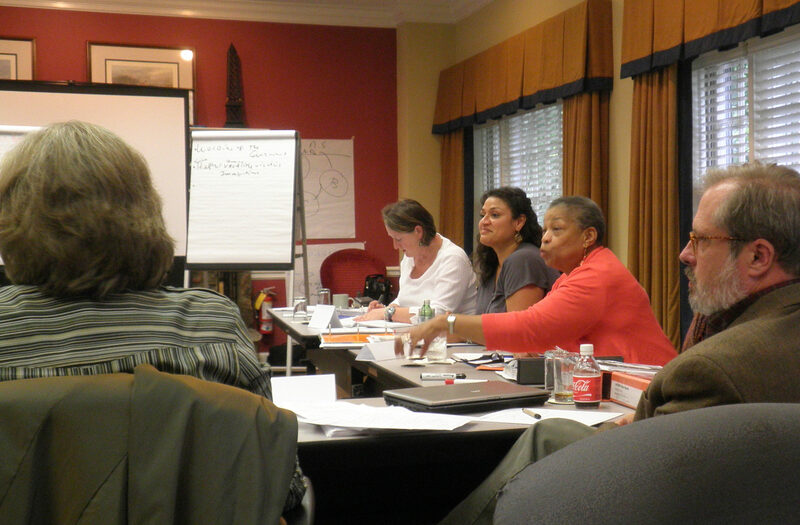 A place-based training program for non-profits to strengthen their capacity to adapt to a changing world. Alaska has significant talent in its arts community. This program provides additional funding to test new ideas and take risks that will ultimately position these arts organizations for long-term artistic and financial success. A list of the many organizations that have participated in EmcArts programs over the past several years. The Foraker Group is Alaska’s state association and nonprofit capacity building organization for nonprofits and tribes across Alaska. Foraker is dedicated to increasing the leadership and management skills of professionals and volunteers working in Alaska’s nonprofit and tribal organizations through an innovative approach focused on a model of sustainability. Rasmuson Foundation was created in May 1955 by Jenny Rasmuson to honor her late husband E.A. Rasmuson. The Foundation is a catalyst to promote a better life for all Alaskans. ASCA is a state agency that fosters the development of the arts for all Alaskans through education, partnerships, grants and services. Our new publication presents two in-depth case studies on Woolly Mammoth and Devnver Center Theatre, documenting the productive messiness of adaptive change in practice.